Snakes are elongated, legless, carnivorous reptiles. Interesting facts about snakes. Anatomy, locomotion, habitat, predators, feeding and more. Most species of snakes aren’t aggressive at all, but they have a terrible reputation about attacking humans. Since the dawn of time the snake has been involved with popular culture and religion. Anatomy, feeding, predators, reproduction, Habitat, Distribution and all the information about Snakes. 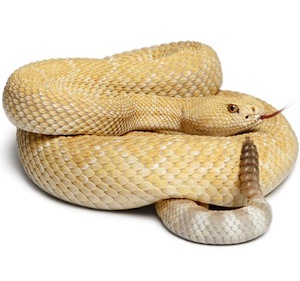 Some species like the Rattlesnake, King Cobra, American Copperhead and more. With more then 3,000 species of snakes in the world there is plenty to learn about them. Even though they all have many unique characteristics about them, there are quite a few similarities. Those are what lumps them all into the same type of category of living creature. They are able to live in a wide spectrum of habitats. They can live in trees or in water. Many live on land and they also can burrow. All snakes are carnivores which means they eat other living things. Not all of them make venom though while people often think that they do. They all feature a tongue that is forked which allows them to pick up scent all around them. They all have many vertebrae and ribs that they use for movement. This helps them to get around since they don’t have any limbs. They also don’t have external ears or eyelids. They rely on vibration to help them find out what is around them. They also use what vision they have combined with smell to find out about dangers. Most species of snakes aren’t aggressive at all but they have a terrible reputation about them being out to attack humans. They will usually retreat from any forms of danger that they may detect around them. However, if they start to feel like they are in trouble they will strike in order to protect themselves. There are more then 3,000 species of snakes in the world. Some species of snakes are venomous. Others catch prey through the constriction. Snakes are cold blooded which is why they do need the warmer temperatures to help them survive. They do like to live in humid climates but some of them live in areas where it is dry such a the desert. They shed their skin which is called molting. This will occur many times over the span of their life. Snakes are isolated creatures when it comes to their living behaviors. From time to time they will come into contact with each other by accident. Most of the time they will go their own way. However, it is mating season they may stick around. The males will fight each other so that they can find other females to mate with. The females may or may not want to match. It is hard for experts to really understand what makes her choose a final mate. What is interesting is that some species of snakes have live young while the majority of them will lay eggs. They never stay with the young so that makes them extremely vulnerable. Studies do show that snake species are very intelligent. Many of them are able to put out bait as a way to get food sources for themselves to come along. This is a type of hunting skill that increases their chances of being able to feed. None of the species are able to consume solid foods by chewing. They have to liquefy it or they need to swallow the entire thing. You will find information about snakes out there since the beginning of time. They are found in stories such as the Bible, books, legends of cultures, movies, and more. They are often kept as pets but many people don’t have the right means of properly caring for them. As a result the snakes often die in captivity. The lifespan of any snake will depend on where it lives and the particular species. They feature a variety of color patterns which can make it hard to determine what type of snake you see. Many of them have colors that look quiet similar. For example some that are very timid and not harmful can resemble those that are aggressive and that have very powerful venom.